Antoun, R. T., 1972, Arab Village. Indiana University, Bloomington, Indiana. Arensburg, B. and Bar-Yosef, O., 1973,Human Remains from Ein Gev I, Jordan Valley, Israel. Paléorient 1: 201-206. Architecture at PPNB 'Ain Ghazal. Proceedings of the Prehistoric Society 53: 309-325. Banning, E. B., and Byrd, B. F., 1989,Alernative approaches for exploring Levantine Neolithic architectire. Paléorient 15(1): 153-159. Bar-Yosef, O., 1970, TheEpi-Paleolithic Cultures ofPalestine. Hebrew University, Jerusalem. Bar-Yosef, O., 1984 Seasonality among Neolithic Hunter-Gatherers in Southern Sinai. In Animals andArchaeology 3. Early Herders and TheirFlocks, editedby Clutton-Brock, J. and C. Grigson, pp. 145-160,BAR International Series 202, Oxford. Bar-Yosef, O., 1991, The Archaeology of the Natufian Layer at Hayonim Cave. In TheNatufian Culture in the Levant, editedby Bar-Yosef, O., and F. Valla, pp 81-92. International Monographs in Prehistory, Ann Arbor, Michigan. Bar-Yosef, O., and Belfer-Cohen, A., 1991. From Sedentary Hunter-Gatherers to Territorial Farmers in the Levant. In Between Bunds and States, editedby S. A. Gregg, pp. 181-202. Center for Archaeological Investigations Occasional Paper 9. Southern Illinois University, Carbondale, Illinois. Bar-Yosef, O., and Gopher, A,, 1997, An Early Neolithic Village in theJordan Valley. PartI: The Archaeology ofNetiv Hagdud. American School of Prehistoric Research Bulletin 43: Cambridge, Massachusetts. Bar-Yosef, O., Gopher, A,, and Goring-Morris, A. N., 1980, Netiv Hagdud: A "Sultanian" Mound in the Lower Jordan Valley. Paleorient 6: 201 -206. Bar-Yosef, O., Gopher, A,, Tchernov, A,, and Kislev, M. E., 1991, Netiv Hagdud: An Early Neolithic Village Site in theJordan Valley. Journal ofField Archaeology 18: 405-424. Bar-Yosef, O. and Meadow, R. H., 1995, The Origins of Agriculture in the Near East. In Last Hunters-First Farmer, edited by T. Douglas Price and A. Birgitte Gebaure, pp, 39-94. School of American Research, Santa Fe, New Mexico. Belfer-Cohen, A. 1988, TheNatufian Settlement atHayonim Cave. Ph.D. dissertation, Hebrew University, Jerusalem. Blanton, R. E., 1994, Houses and Households. A Comparative Study. Plenum Press, New York. Blanton, R. E., 1995, The Cultural Foundations of Inequality in Households. In Foundations ofSociallnequality, editedbyT. E. Price and G. M. Feinman, pp, 105-128.Plenum Press, New York. Blanton, R. E., Feinman, G. M., Kowalewski, S. A,, and Peregrine, P. N., 1996, A Dual-Processual Theory for the Evolution of Mesoamerican Civilization. CurrentAnthropology 37(1): 1-14. Brooks, A. and Yellen, J,, 1987, The Preservation of Activity Areas in the Archaeological Record: Ethnoarchaeological and Archaeological Work in Northwest Ngamiland, Botswana. In Method and TheoryforActivityArea Research, edited by S. Kent. pp. 63-106.Colum-bia University Press, New York. Bender, B., 1978, Gatherer-Hunter to Farmer: A Social Perspective. WorldArchaeology l0(2): 204-237. Bender, B., 1990, The Dynamics of Nonhierarchial Societies. In The Evolution of Political Systems, edited by S. Upham, pp, 247-263. Cambridge University Press, Cambridge. Byrd, B. F., 1994a, Public and Private, Domestic and Corporate: The Emergence of the Southwest Asian Village. American Antiquity 58(4): 639-666. Byrd, B. F., 1994b, Late Quaternary Hunter-Gatherer Complexes in the Levant between 20,000 and 10,000 BP. In Late Quaternarty Chronology and Paleclimates of the Eastern Mediterranean, edited by O. Bar-Yosef and R. Kra. pp. 205-226. Radiocarbon Publications, Tucson, Arizona. Byrd, B. F., n.d.,The Neolithic Village of Beidha: Architecture, Occupation History and Spatial Organization. In TheExcavations of Mrs. Diana Kirkbride-Helbeck, by British Academy Monographs in Archaeology. Oxford University Press, Oxford. Byrd, B. F. and Banning, E. B., 1988. Southern Levantine Pier Houses: Intersite Architectural Patterning during the Pre-Pottery Neolithic B. Paleorient 14(1): 65-72. Byrd, B. F., and Monahan, C., 1995, Death, mortuary ritual, and Natufian social structure. Journal ofAnthropological Archaeology, 14: 251-287. Cameron, C. M., 1990, Pit Structure Abandonment in the Four Corners Region ofthe American Southwest: Late Basketmaker III and Pueblo I Periods. Journal ofFieldArchaeology 17(1): 27-37. Cameron, C. M. and S. A. Tonka, 1993, Abandonment of Settlements and Regions: Ethnoarchaeological andArchaeologicalApproaches. Cambridge University Press, Cambridge. Carr, C. 1984, The Nature of Organization of Intrasite Archaeological Records and Spatial Analytic Approaches to Their Investigation. In Advances in Archaeological Method and Theory, Volume 7 , edited by M. B. Schiffer, pp, 103-222.Academic Press, New York. Carr, C., 1987, Dissecting Intrasite Artifact Palimpsests. In Method and TheoryforActivity Area Analysis, edited by S. Kent , pp. 236-294. Columbia University Press, New York. Cauvin,J., 1972,ReligionsNéolithiquesde Syro-Palestine. Centre de Recherches d'Ecologie et de Prehistore. Maisonneane, Paris. Cauvin, J., 1994,Naissance des divinités, Naissance de I agriculture. CNRS, Paris. Cook, S. F., and Heizer, R. F., 1968, Relationship among Houses, Settlement Areas, and Population in Aboriginal California. In SettlementArchaeology, edited by K. C. Chang, pp, 79116. National Press Books, Palo Alto, California. Dohm, K., 1990, Effect of Population Nucleation on House Size for Pueblos in the American Southwest. Journal of Anthropological Archaeology 9: 201-239. Edwards, P., 1991, Wadi Hammeh 27: An Early Natufian Site at Pella, Jordan. In TheNatufian Culture in the Levant, edited by Bar-Yosef, O. and F. Valla, pp. 123-148. International Monographs in Prehistory, Ann Arbor, Michigan. Feinman, G. M., 1995, The Emergence of Inequality: A Focus on Strategies and Processes. In Foundations of Social Inequality, edited by T. D. Price and G. M. Feinman, pp. 255-280. Plenum Press, New York. Flannery, K. V., 1972, The Origin of the Village as a Settlement Type in Mesoamerica and the Near East: A Comparative Study. In Man, Settlement and Urbanization, edited by P. Ucko, R. Tringham, and G. Dimbleby, pp. 23-53. Duckworth, London. Flannery, K. V., 1993, Will the Real Model Please Stand Up: Comments on Saidel's "Round House or Square? '''Journal of Mediterranean Archaeology 6(1): 109-117. Garfinkel, Y. 1987 Yiftahel: A Neolithic Village from the Seventh Millennium B.C. in Lower Galilee, Israel. Journal of Field Archaeology 14: 199-212. Garstang,J. and Garstang,J. B. E., 1948, The Story ofJericho, 2nd edition. Marshal, Morgan and Scott, London. Goody, J. (ed.) 1958, The Developmental Cycle.in Domestic Groups. Cambridge University Press, Cambridge. Gopher, A,, Goring-Morris, A. N., and Gordon, D., 1994,Nahal Issaron: The Lithics of the Late PPNB Occupation. 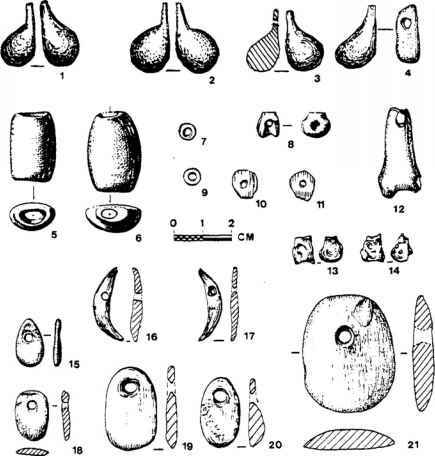 In Neolithic ChippedStoneIndustries of theFertile Crescent, edited by H. G. Gebel and S. K. Kozolowski, pp. 479-494. Ex Oriente, Berlin. Goring-Morris, A. N., 1987,At theEdge: Terminal PleistoceneHunter-Gatherers in theNegev and Sinai. BAR International Series 361, Great Britain. Goring-Morris, A. N., 1991, The Harifian of the Southern Levant. In TheNatufian Culture in the Levant, O. Bar-Yosef, and F. R. Valla , pp. 173-216. International Monographs in Prehistory, Ann Arbor, Michigan. Goring-Morris, A. N., 1993, From Foraging to Herding in the Negev and Sinai: The Early to Late Neolithic Transition, Paléorient 19(1): 65-89. Goring-Morris, A. N., 1995, Complex Hunter/Gatherers at the End of the Paleolithic (20,00010,000 BP). In The Archaeology of Society in the Holy Land, edited by T. E. Levy ,pp. 141-168.Leicester University Press, London. Goring-Morris, A. N. and Gopher, A,, 1983, Nahal Issaron: A Neolithic Settlement in the Southern Negev. IsraelExplorationJournal 33(3): 149-162. Hammel, E. A. and Laslett, P., 1974, Comparing Household Structure over Time and between Cultures. Comparative Studies in Society and History 16:73-109. Hayden, B., 1990Nimrods, Piscators, Pluckers, and Planters: The Emergence of Food Production. Journal of Anthropological Archaeology 9: 31-69. Hayden, B., 1995a, AnOverviewofDomestication. InLastHunters-First Farmer, editedbyT. D. Price and A. Birgitte Gebaure, pp. 273-300. School of American Research, Sante Fe, New Mexico. Hayden, B., 1995b, Pathways to Power: Principles for Creating Socioeconomic Inequalities. In Foundations of Sociallnequality, edited by T. D. Price and G. M. Feinman, pp. 15-78. Plenum Press, New York . Hayden, B., and Cannon, A,, 1982,The Corporate group as an archaeological unit. Journal of Anthropological Archaeology 1: 132-158. Hayden, B., and Cannon, A,, 1983 Where the Garbage Goes: Refuse Disposal in the Maya Highlands. Journal of Anthropological Archaeology 2: 117-163. Henry, D. O., 1976, Rosh Zin: A Natufian Settlement near Ein Avdat. In Prehistory and Paleoenvironments in the CentralNegev, Israel, Volume 1, edited by A. E. Marks, pp. 317-348. Southern Methodist University, Dallas, Texas. Henry, D. O., 1985, Preagricultural sedentism: The Natufian example. In PrehistoricHunter-Gatherers: The Emergence of Cultural Complexity, edited by T. D. Price and J. A. Brown, pp. 365 -381. Academic Press, New York. Hiller, B., Leaman, A., Stansall, P., and Bedford, M., 1976, Space syntax. Environment and Planning B 3:147-185. Hodder, I., 1990, The Domestication of Europe: Structure and Contingency in Neolithic Societies. Basil Blackwell, Oxford. Hole, F., 1984, A Reassessment of the Neolithic Revolution. Paleorient 10(2):49-60. Hole, F., 1987 Archaeology of the Village Period. In The Archaeology of WesternIran, edited by F. Hole, pp. 29-78. Smithsonian Institution Press, Washington, D.C.
Horne, L., 1980, Village Morphology. Expedition 22(4):18-23. Horne, L.,1994, Village Spaces: Settlement and Society in Northeastern Iran. Smithsonian Institution Press, Washington D.C.
Jacobs, L., 1979, Tell-i-Nun: Archaeological Implications of a Village in Transition. In Ethnoarchaeology: Implications of Ethnography for Archaeology, edited by C. Kramer, pp. 175-191. Columbia University, New York. Kelly, R. L., 1983, Hunter-Gatherer Mobility Strategies. Journal of Anthropological Research 39: 277-306. Kent, S., 1990, Domestic Architecture and the Use ofSpace: An Interdisciplinary Cross-Cultural Study. Cambridge University, Cambridge. Kenyon, K.,1981, Excavations atJericho, Volume 3, The Architecture and Stratigraphy ofthe Tell. London: The British School of Archaeology in Jerusalem, London. Khammash, A,, 1986, Note on Village Architecture in Jordan. University of Southwestern Louisiana, Lafayette, Louisiana. Kirkbride, D., 1966, Five Seasons at the Prepottery Neolithic Village of Beidha in Jordan. Palestine Exploration Quarterly 98:5-61. Kolb, C. C., 1985,Demographic estimates in Archaeology: Contributions for Ethnoarchaeology on Mesoamerican Peasants. Current Anthropology 26(5):581-599. Kramer, C., 1979, An Archeological View of a Contemporary Kurdish Village: Domestic Architecture, Household Size and Wealth. In Ethnoarchaeology: Implications of Ethnography for Archaeology, C. Kramer, pp. 139-163. Columbia University, New York. Kramer, C., 1982, Village Ethnoarchaeology, Rural Iran in Archaeological Perspective. Academic Press, New York. Kramer, C., 1983 Spatial Organization in Contemporary Southwest Asian Villages and Archaeological Sampling. In The Hilly Flanks and Beyond, edited by T. C. Young, P. E. L. Smith, and P. Mortensen, pp. 347-368. Studies in Ancient Oriental Civilizations No. 36. Oriental Institute, Chicago, Illinois. Kuijt, I., 1995, New Perspectives on old Territories:Ritual Practices and the Emergence of Social Complexity in the Levantine Neolithic. Ph.D. dissertation. Harvard University. University Microfilms, Ann Arbor, Michigan. Pottery Neolithic A Period Mortuary Practices. Journal of Anthropological Archaeology 15(4):313-336. Kuijt, I. and Bar-Yosef , O., 1994, Radiocarbon Chronology for the Levantine Neolithic: Observations and Data. In Late Quaternary Chronology and Paleoclimates of the Eastern Mediterranean, edited by O. Bar-Yosef and R. S. Kra, pp. 227-245. Radiocarbon, Tucson, Arizona. Lawrence, D. and Low, S., 1990, The Built Environment and Spatial Form. AnnualReviews in Anthropology 19:453-505. LeBlanc, S., 1971, An Addition to Naroll's Suggested Floor Area and Settlement Population Relationship. American Antiquity 36: 210-211. Lechevallier, M., 1978, Abou Gosh et Beisamoun, Deux Gisements du VIIe Millenaire Avant L'ere Chretienne en Israel. Memoires et Travaux du Centre de Recherches Prehistoriques Francaise de Jerusalem, No. 2. Association Paleorient, Paris. Lechevallier, M., andA. Ronen 1985, Le Site Natoufen-Khiamien de Hatoula, Pres de Latroun, Israel. Jerusalem. Centre de Recherche Francais de Jerusalem, 1. Moore, A. M. T., 1985, The Development ofNeolithic Societies in the Near East. Advances in World Archaeology 4:1-69. Nadel, D., 1991, Ohalo 11—Thethird season. Mitekufat Haeven 23:48-59. Nadel, D., Carmi, I., and Sega, D., 1995, Radiocarbon Dating ofOhalo II: Archaeological and Methodological Implications. Journal ofArchaeological Science 22:811-822. Naroll, R., 1962, Floor Area and Settlement Population. American Antiquity 27:587-588. Netting, R. M., 1982, Some Home Truths on Household Size and Wealth. American Behavioral Scientist 25:641-662. Netting, R. M., 1990, Population, Permanent Agriculture, and Polities: Unpacking the Evolutionary Portmanteau. In The Evolution ofPolitical Systems, edited by S. Upham pp. 2161. Cambridge University Press, Cambridge. Netting, R. Mc., Wilk, R. R., andArnould, E. J., 1984, Households: Comparative andHistorical Studies ofthe Domestic Group. University of California Press, Berkeley, California. Noy, T., 1989, Gigal I., Apre-Pottery Neolithic Site, Israel. The 1985-1987Seasons. Paleorient 15(1): 15-22. Pasternak, B., Ember, C. R., and Ember, M., 1976. On conditions favoring extended family households. Journal of Anthropological Anthropological Research 32: 109-123. Perrot, J., 1960, Excavation at Eynan (Ein Mallaha), 1959 Season: Preliminary Report. Israel Exploration Journal 10: 14-22. Perrot, J., 1966, Le Gisement Natoufien de Mallaha (Eynan), Israel. L'Anthropologie 70(5): 437-484. Perrot, J. andLadiray, D., 1988,LesHommesdeMallaha (Eynan)Israel, lesSepulchres. Memoires et Travaux du Centre de Recherche Francaise de Jerusalem, Number 7. Association Paleorient, Paris. Price, T. D., and Feinman, G. M., 1995, Foundations ofSocialInequality. Plenum Press, New York. Redman, C. L., 1978, The Rise ofCivilization. Freeman, San Francisco, California. Redman, C., L., 1983 Regularity and Change in the Architecture of an Early Village. In The Hilly Flanks andBeyond, edited by T. C. Young, P. E. L. Smith, and P. Mortensen, pp. 189-196. Studies in Ancient Oriental Civilization No. 36. Oriental Institute, Chicago, Illinois. Redrew, C. 1974, Beyond a Subsistence Economy: The Evolution of Social Organization in Prehistoric Europe. In Reconstructing Complex Socieites, edited by C. B. Moore, pp. 6985. Supplement to the Bulletin of the American Schools of Oriental Research No, 20, American Schools of Oriental Research, Cambridge, Massachusetts. Reyna, S. P., 1976, The Extending Strategy: Regulation of the Household Dependency Ratio. Journal of Anthropological Research 32:182-198. Rollefson, G. O., 1983, Ritual and Ceremony at Neolithic 'Am Ghazal (Jordan). Paleorient 9(2):29-37. Rollefson, G. O., 1986, Neolithic 'Am Ghazal (Jordan): Ritual and Ceremony, II. Paleorient 12(1)45-52. Rollefson, G. O., and Simmons, A. H., 1987, The Life and Death of'Ain Ghazal. Archaeology 40(6):38-45. Rollefson, G. O., and Simmons, A. H., 1988, The Neolithic Settlement at 'Ain Ghazal. In The Prehistory ofJordan, edited by A. N. Garrard and H. G. Gebel, pp. 393-421. BAR International Series 396, Oxford. Saidel, B. A,, 1993, Round House or Square? Architectural Form and Socio-Economic Organization in the PPNB. Journal of Mediterranean Archaeology 6(1): 65-108. Seymour, D., and Schiffer, M., 1987, A Preliminary Analysis of Pithouse Assemblages from Snaketown, Arizona. In Method and TheoryforActivity Area Research, edited by S. Kent, pp. 549-603.Columbia University Press, New York. Schiffer, M. B., 1987, Formation Processes of the Archaeological Record. University of New Mexico Press, Albuquerque, New Mexico. Schiffer, M. B.,1983, Toward the Identification of Formation Processes. American Antiquity 48: 675-706. Scott, T. R., 1977, The Harifian of the Central Negev. In Prehistory andPaleoenvironments in the Central Negev, Israel, Volume 2, edited by A. E. Marks, pp. 271-322. Southern Methodist University, Dallas, Texas. Southall, A,, 1988,On Mode of Production Theory: The Foraging Mode of Production and the Kinship Mode of Production. Dialectical Anthropology 12: 165-192. Stekelis, M., and Yizraely, T., 1963, Excavations at Nahal Oren: Preliminary Report. Israel Exploration Journal 13(1): 1-12. Upham, S. 1990, Decoupling the Process of Political Evolution. In The Evolution of Political Systems, edited by S. Upham, pp, 1-20. Cambridge University, New York. Valla, F., 1987, Chronologie Absolue et Chronologies Relatives Dans le Natoufien. In Chronologies of the Near East, edited by O. Aurenche, J. Ervin, F. Hours, pp. 267-294. BAR International Series 379. Oxford. Valla, F., 1991, Les Natoufiens de Mallaha et L'espace. In TheNatufian Culture in the Levant, edited by O. Bar-Yosef and F. Valla, pp. 111-122. International Monographs in Prehistory, Ann Arbor, Michigan. Valla, F., 1994, The First Settled Societies—Natufian (12,500-10,200BP). In The Archaeology of Society in theHolyLand, edited by T. E. Levy, pp, 170-187.Leicester University, London. Valla, F. R., Khalaily, H., Samuelian, N., Bocquentin, F., Delage, C.,Valentin, B., Plisson, H., Rabinovich, R., and Belfer-Cohen, A., 1999, Le Natiufien Final et les Nouvelles fouilles a Mallaha (Eynan), Israel 1996-1997Journal of the Israel Prehistoric Society 28:105-176. Valla, F. R., Le Mort, F., and Plisson, H., 1991, Les Fouilles en Cours sur la Terrasse D'Hayonim. In The Natufian Culture in the Levant, edited by O. Bar-Yosef and F. Valla, pp. 930-1100. International Monographs in Prehistory, Ann Arbor, Michigan. Voigt, M. M., 1990, Reconstructing Neolithic Societies and Economies in the Middle East: An Essay. Archaeomaterials 4(1): 1-14. Waterbolk, H. T., 1987, Working with Radiocarbon Dates in Southwestern Asia. In Chronologies in the Near East, edited by O, Aurenche, J. Evin, and F. Hours, pp. 39-60. British Archaeological Reports International Series 379, Oxford. Watson, P. J., 1978, Architectural Differentiation in Some Near Eastern Communities, Prehistoric and Contemporary. In SocialArchaeology, edited by C. Redman, M. J. Berman, E. V. Curtin, W. T. Langhorne Jr., N. M. Versaggi, and J. C. Wanser, pp. 131-157. Academic Press, New York. Whitelaw, T., 1991, Some Dimensions of Variability in the Social Organization of Community Space among Foragers. In EthnoarchaeologicalApproaches to Mobile Campsites, edited by C. S. Gamble and W. A. Boismier, pp. 139-188. International Monographs in Prehistory, Ann Arbor, Michigan. Wiesner, P,. 1974, A Functional Estimator of Population from Floor Area. American Antiquity 39(2): 343-350. Wiesner, P., 1982, Beyond Willow Smoke and Dog's Tails: a Comment on Binford's Analysis of Hunter-Gatherer Settlement Systems. American Antiquity 47: 171-177. Wilk, R. R. 1983, Little House in the Jungle: The Causes of Variation in House Size among Modern Kekchi Maya. Journal ofAnthropologicalArchaeology 2(2): 99-116. Wilk, R. R., 1990, The Built Environment and Consumer Decisions. In DomesticArchitecture and the Use ofSpace, edited by S. Kent, pp. 34-42. Cambridge University Press, New York. Wilk, R. R., and Netting, R., 1984, Households: Changing Forms and Functions. In Households: Comparative an d Historical Studies of the Domestic Group, edited by R. Netting, R. Wilk, and E. Arnould, pp. 1-28. University of California, Berkeley, California. Wilk, R. R., and Rathje, W. L., 1982, Household Archaeology. American Behavioral Scientist 25:(6) 617-639. Wilson, P., 1988, The Domestication of the Human Species. Yale University Press, New Haven, Connecticut. Wright, G. A,, 1978, Social differentiation in the Early Natufian. In Social Archaeology, Beyond Subsistence and Dating, edited by C. Redman, M J. Berman, E. V. Curtin, W. T. Langhorne Jr., N. M. Versaggi andJ. C. Wanser, pp. 201-223. Academic Press, New York. Yellen, J. E., 1977, Archaeological Approaches to the Present: Modelsfor Reconstructing the Past. Academic Press, New York. Yoffee, N., 1988, Aspects of Mesopotamian Land Sales. American Anthropologist 90(1): 119130.